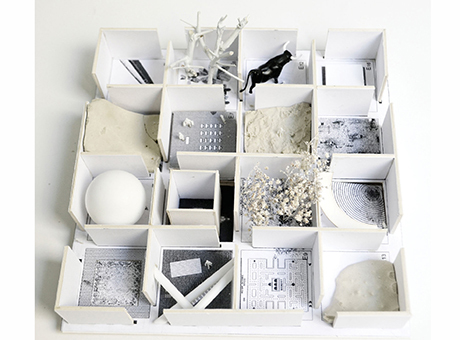 A design project by two PhD candidates at The Bartlett School of Architecture, Christos Papastergiou and Christiana Ioannou, has been shortlisted for the Next Helsinki competition. Launched as an alternative to the Guggenheim Helsinki competition, architects, urbanists and artists were asked to imagine how Helsinki and its South Harbour could be transformed for the benefit of the city's residents and visitors. MUUSA: Helsinki Museums Summer Festival, proposed by Christos Papastergiou and Christiana Ioannou's practice draftworks*architects, was selected from an international jury led by Michael Sorkin from more than 200 entries submitted from 37 countries. The proposal introduces the idea of an annual summer festival celebrating Helsinki’s local museums along with the planned Guggenheim Museum. The festival aims to promote Helsinki as a 'museum city' bringing them together under the umbrella of common themes: The Child, Domestic Life in the Middle Ages, Transportation in Sea and Land, Smuggling in the Baltic Sea, Independence and Occupation. The Next Helsinki competition is organised by Checkpoint Helsinki, Terreform and G.U.L.F. (Global Ultra Luxury Faction).